aangirfan: The use of militant Moslems in Russia, China, India & Indonesia. Reportedly, the CIA likes to make life difficult for countries that are potential rivals, such as Russia, China and Iran. Reportedly, the CIA follows a policy of divide and rule. Reportedly the CIA has promoted militant Islam in countries such as Afghanistan and Pakistan. What about China, Russia, Iran, India and elsewhere? According to UPI (Analysis: Jihad in Asia), Russia has between 19 million and 22 million Muslims. China has some 20 million Muslims. Reportedly, militant Moslems want an Islamic Caliphate made up of the Central Asian nations, including the Russian province of Chechnya and the Chinese province of Xinjiang. Could the CIA be fans of these militant Moslems? According to the Times of India (Terror camps, Pak flags in Karnataka jungles), "a terrorist camp used by self-proclaimed Islamist fundamentalists has been detected in southern India, where a spate of terror attacks in the last few years, such as the ones in Hyderabad's Mecca mosque and the Indian Institute of Science in Bangalore, have sensitized police to Islamist terrorism." India is an ally of the USA. But might the CIA want to put pressure on India at certain times? Perhaps the most important militant Moslem group is the Muslim Brotherhood. The Muslim Brotherhood is said to have links to MI6 and the CIA. "According to the (Washington) Post, the CIA relies on the (Muslim) Brotherhood for intelligence. "...the CIA is reporting favorable things about the group via the willing vessel of the Washington Post. "...Muslim Brother Ramzi Yousef started planning 9/11 in 1993." Indonesia provides a good example of how militant Moslem groups are apparently used by the CIA and its friends. There have been a number of 'Islamic terror groups' in Indonesia. They all seem to be linked to the military: MI6 or the CIA or American trained generals. In 1973 The Economist magazine featured Iran on the front cover with the caption: "Iran the Next Japan of the Middle East?" Iran's economy had grown at a rate of 7-8% each year from 1965-1973 and was becoming an example for the developing nations of the world to follow. As far as the Anglo-American Establishment was concerned this could not be allowed to continue. 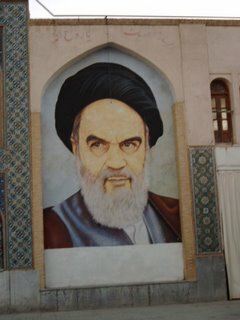 Dr. John Coleman, a former British Intelligence agent... states in his report on Iran's Islamic Revolution that the Muslim Brotherhood was created by "the great names of British Middle East intelligence" ...and that their mission was to "keep the Middle East backward so that its natural resource, oil, could continue to be looted..."